The Lexington and Kentucky music video scene is much more than alive... it's totally kicking. 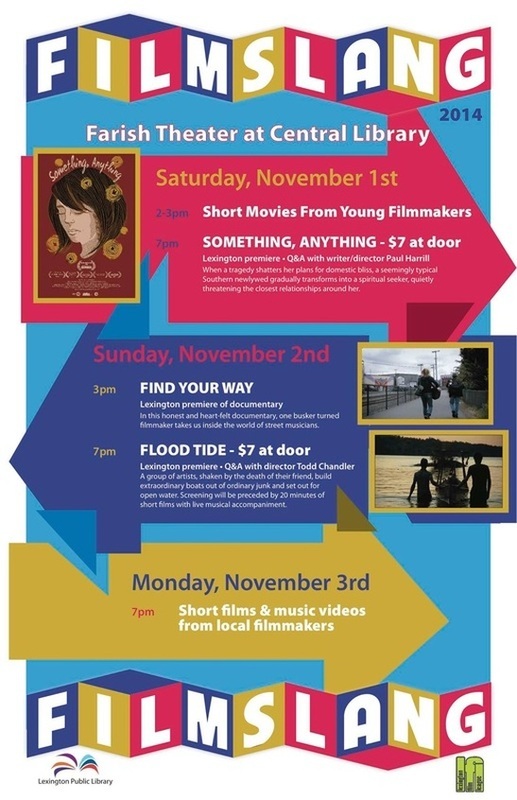 Come see a juried selection of new videos by local filmmakers featuring local music. Musician Ian Svenonius (Nation of Ulysses, The Make-Up, Chain & The Gang) channels his unique perspective, vision and style into a new medium with his first film. The 30-minute sci-fi short, WHAT IS A GROUP?, is a treatise on the nature and purpose of the rock group and the significance of its products The film utilizes archival images and a fantastic soundtrack in a way that only Mr. Svenonius can. Set over the course of a weekend tournament for chess software programmers thirty-some years ago, the Sundance Film Festival award-winning narrative feature, COMPUTER CHESS, transports viewers to a nostalgic moment when the contest between technology and the human spirit seemed a little more up for grabs. Join us for the Kentucky Premiere of this funny and unique film. 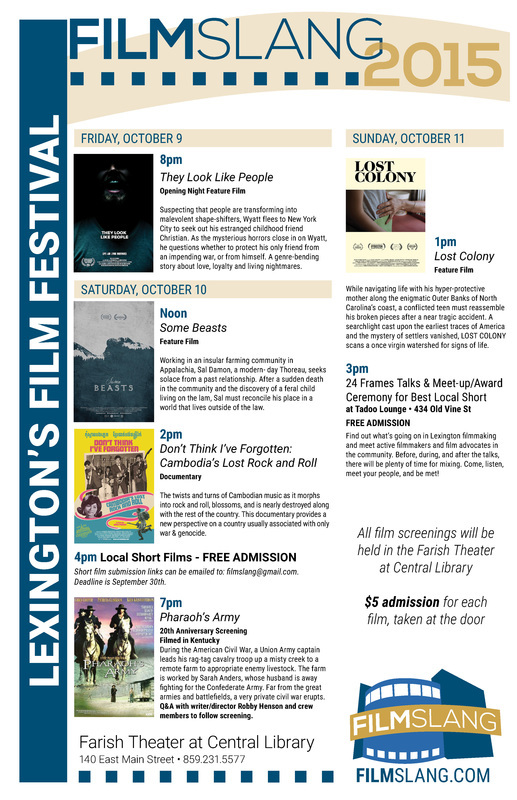 Find out what’s going on in Lexington filmmaking right now and meet active filmmakers and film advocates in the community. In the style of Pecha Kucha or Ignite talks, each presenter will have 6 minutes to show 24 slides about what they do. Before, during, and after the talks, there will be plenty of time for mixing. Come, listen, meet your people, and be met. CLAUDE MILES: Zero Budget Film Making—Why is it so Expensive? Join us at Natasha's Bistro & Bar as we present award-winning short films by central Kentucky filmmakers! The show starts at 9pm, but get there early for dinner and drinks, and to meet the people behind the films. Hosted by Kentucky filmmaker Justin Hannah. This feature-length documentary that explores the ongoing devotion of a passionate subculture to what many in the mainstream think of as a "dead format." Tracing the history of the VHS tape from its glory days as a high-end luxury item, to its dark times as a discarded relic, and ultimately to its renaissance as an extremely valued (to some) reminder of a bygone era, the film features interviews with VHS collectors, video store owners, filmmakers and distributors. It is both an exploration of the power of nostalgia and a love letter to loyal champions of the underdog. Never again will you be able to pass the VHS bin at a thrift store without taking a second look.